Home Off Beat	Skull a Day T-Shirt – Geeks on the move! Skull a Day T-Shirt – Geeks on the move! About: Well, there ainât much to talk about. 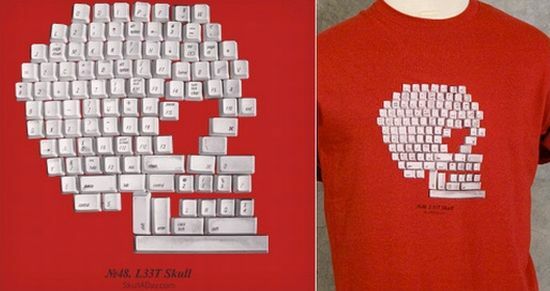 Just need some keyboard keys, give it a shape (skull, in this case) and sew it onto a t-shirt. Why is it here: Now when weâve discussed how simple it is to make one, lemme also appreciate the original idea, which definitely would not have come out that easy. The absolute show off transparent Skeleton Attache!